In the world of condominium buildings, duplexes, triplexes and 4-plexes represent a small minority of the population with a set of special needs and specific complexities. Not surprisingly, most condominium attorneys, including those who routinely handle condominium conversions, are accustomed to larger projects and are unfamiliar with the unique requirements of small buildings. These practitioners apply what they know from big properties and use their standard documents, and the result can be a Declaration of Covenants, Conditions and Restriction (“CC&Rs”), Bylaws, Articles and Rules that are difficult to understand and apply to the realities of operating and managing a 2-4 unit condo property. As an attorney who has written CC&Rs and Bylaws for two, three and four unit condominium buildings for the past 20 years, as well as mediated many disputes for small-building condominium homeowners associations with governing documents created for larger buildings, I have learned much about what works, and what doesn’t, for smaller condo HOAs. In this article, I will share some of my insights and also describe some of the recent evolutions in our small-property CC&Rs and bylaws. 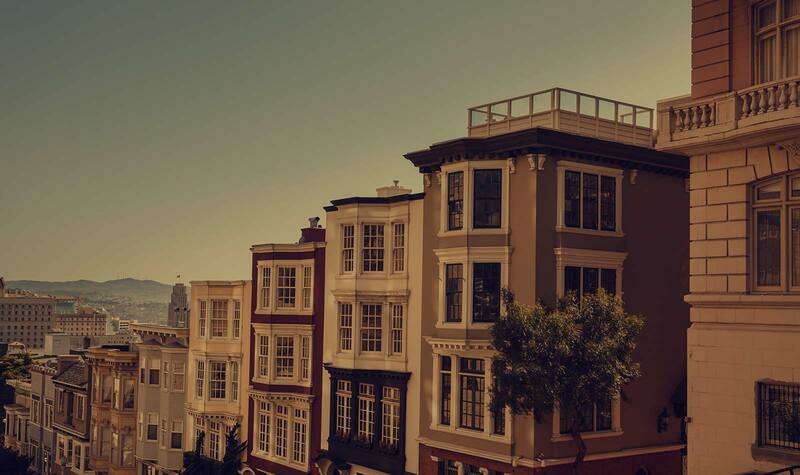 In California (and most other states), there are a significant number of laws describing what must be included in condominium governing documents. These laws have been created in response to perceived abuses by condominium developers and HOA boards of directors, and are designed to protect condo owners. Lenders and institutions that purchase condominium loans have created an additional set of requirements designed to protect their interests, and will not provide a condominium mortgage unless the CC&Rs and Bylaws satisfy their requirements. As you might expect given the predominance of larger condominium projects, these laws and lender requirements have been written with large condo associations in mind, and the legislators and real estate professionals who have created them did not think about how they might apply, or whether they even made sense, for duplexes, triplexes and 4-plexes. The result is a set of mandatory requirements for condominium governing documents that apply regardless of building size. For attorneys preparing CC&Rs and Bylaws for small buildings, this presents a quandary: To create a logical and workable document set while still satisfying legal and lender requirements. The struggle to balance these two competing interests sometimes results in the inclusion of language which makes no sense for a 2-4 unit HOA, and which the condominium owners assume is there because the attorney did not take the time to adapt the document to the small-building context. But while a certain number of seemingly incongruous provisions can be justified on this basis, the attorney should have the creativity and courage to avoid requirements and procedures that are unworkable for a small condo buildings, and could not possibly have been intended to apply in this tiny corner of the condominium world. An example of an area where the lawyer needs to depart from the letter of the law in preparing CC&Rs and Bylaws for a small condominium property is HOA election procedures recently enacted in California (Civil Code Section 1363.03). This law requires an elaborate balloting procedure involving multiple anonymous mailings and an independent election inspector. All of this is a great idea in some contexts, but simply unworkable for a homeowners association consisting of two or three owners. But that does not mean that formality, and considerations of fairness and owner protection, should be ignored with regard to these small associations. In many ways, these issues are even more important for 2-4 unit buildings because of the tendency of smaller groups to behave too informally, and to “gang up” an an owner perceived as an outsider. Effective governance for a small homeowners association requires balancing the need to ensure that the basic function of the association, managing the building, is achieved, while protecting the right of each member to have a say. When the proper balance is not struck, one or more owners feel taken advantage of, or the building is not properly maintained, or both. Inability to move the process of building management and maintenance forward efficiently is the most widespread problem of small condominium associations. The most common reasons underlying this are too little formality (“there are only a few of us so we can just work it out as we go along”) and too much dependance on voting (“without a majority vote it doesn’t get done”). Ensuring that there is a specific person (either an owner or outside manager) responsible for completing each basic function: creating a budget and establishing owner dues; monitoring owner payments; paying bills; keeping records; and cleaning and maintaining common areas. Deciding to “all just share the work” is a recipe for inefficiency and failure. Giving the person in charge of each basic function the power to get his/her job done without getting owner approval for basic functions. For example, the person in charge of creating the budget and establishing the dues should have clear instructions on exactly how to do this in the CC&Rs and Bylaws. The budget and dues he/she establishes based on these rules should go into effect without an owner vote. If an owner disagrees, he/she should have a method for challenging the budget through an owner vote, but only on the basis that the budget/dues conflict with the instructions. While the challenge is running its course, each owner should still have to pay the dues so that the HOA can function. If the challenge is successful, there can be a reconciliation and, if necessary, a refund later. Along the same lines, if the paint is peeling or the roof leaking, the person in charge of building repairs must be able to select a contractor and, if necessary, levy a special assessment for the work, despite an owner who wishes to delay the work or avoid the expense. This is achieved by allowing an owner to challenge the decisions only if he/she takes the initiative to call a meeting and bring legitimate alternatives to the owners for vote, all within the context of basic mandates in the CC&Rs and Bylaws that the paint cannot be allowed to peel and the roof cannot be allowed to leak. When an owner decision is needed, there must be formal advance notification that includes an agenda. An owner who chooses not to participate or send a proxy should automatically be considered to have abstained on all of the agenda issues. For example, in a 4-plex, a majority decision can be made with two votes if one or two of the owners decline to participate. On the other hand, owners who choose not to participate must know what decisions can be made in their absence. This means that matters not listed on the agenda cannot be decided unless all owners participate. Sharing space and living within close proximity of others are basic facts of condominium life. The conflicts inherent in this arrangement are amplified in small buildings, where owner communication is unfiltered by property managers, committees, and governing boards. Many owners in small condo buildings feel uncomfortable confronting their neighbors directly and so hold back, allowing frustration to mount until things reach a boiling point. Other owners translate the lack of a formal enforcement body into a license to act with complete disregard for their co-owners. While virtually all CC&Rs and Bylaws include rules relating to cohabitation and proximity, many of these turn out to be useless in practice. There are two primary types of useless rules: (i) Rules that are too vague to be efficiently enforced (“Owners will respect their neighbors by avoiding noisy activities at night”) (“Pets that run free may be picked up when in common area”); and (ii) Rules that allow the violating owner to continue the violation with no significant penalty while victims engage in a lengthy and expensive enforcement process. Small condominium HOA documents need strict rules relating to the most common problem areas: parking, storage, alteration of common and exterior areas, noise and pets. For example, the CC&Rs should require that every part of an owner’s vehicle or stored items be entirely within the borders of the owner’s space, and should empower the other owners to take immediate action, such as having an improperly parked car towed, or disposing of items improperly stored in shared areas such as yards and hallways, without initiating a mediation or arbitration process, provided the owners can document the violation with photos or other evidence. In effect, the burden of going to the trouble and spending the money to initiate a dispute resolution process should be shifted from the complying owners to the non-complying one. Similarly, there should be a monetary fine schedule for noise and pet violations, so that a violating owner has mounting financial obligations if he/she continues to flout the rules. Some owners have concerns about creating strict rules and enabling direct “self-help” enforcement. But in practice, the groups we see for dispute resolution tend to be the ones who either did not create a clear policy about the issue in dispute, or went through a period of not enforcing the rule and now need to change course. It turns out that the best way to get along is to create rules and enforce them consistently. Property damage in condominiums always raises complex issues, particularly when an occurrence in one condominium (such as a leaking pipe) causes damage to another, or when a common area failure (such as a leaking roof) causes damage inside one or more units. Recent developments in the insurance world, such as rising premiums and the tendency of insurers to hike rates based on the number of claims submitted, have only increased this complexity. Small condominium properties are disproportionately affected by these problems because they have less money and fewer internal resources for resolving disputes. CC&Rs and Bylaws for duplexes, triplexes and 4-plexes must clearly articulate when one owner is responsible for damage in another owner’s unit, and when the association is responsible for damage to apartment interiors, as well as how this responsibility is affected when an unusually high-value item, such as artwork or expensive electronics, is damaged. Similarly, these document must define which items and building elements the HOA insures, and which items and elements individual owners insure, and limit each individual owner’s right to make claims against the HOA or another owner when the first owner incurs a loss because he didn’t carry enough insurance. Another important insurance issue is the decision-making process for making claims against the condominium association policy. Often, owners are torn between the desire to collect insurance proceeds for a covered loss, and the reluctance to risk increasing premiums or policy cancellation. The CC&Rs and Bylaws should specify when a claim will be submitted, and how loss will be allocated when no claim is made. They should also describe how insurance deductibles are shared, an issue that can be particularly troublesome when damage spans multiple units and common area, and both individual and group policies provide coverage. A smaller building with a smaller homeowners association creates both a greater opportunity, and a greater necessity, to customize the documents to fit the specific needs of the owners. Unlike in larger subdivisions, the Department of Real Estate does not review the CC&Rs or Bylaws for a 2-4 unit condominium, and does not impose its concept of what these documents should contain. This allows the owners, working through their attorney, to add special provisions to meet the needs of specific owners or the unique characteristics of the property. Some examples include specific owners’ rights to expand units or construct decks or skylights, temporary pet provisions applicable to a specific owner or pet, or interim parking arrangements applicable only until a specific owner sells. When I explain that I am constantly making additions, deletions, clarifications and rearrangements to my CC&Rs and Bylaw templates, clients often react with puzzlement and frustration. They rightly expect that since they are paying good money for my expertise and experience, the document I create for them will be perfected and have no need of improvement. But the reality is that I am constantly learning from new experiences and client feedback, and that I continually find that I can improve on the language and organization of my own documents. Moreover, the legally mandated content for condominium documents (mentioned earlier in this article) change regularly, and we need to revise our templates annually to adapt to these new requirements. I make this point to underline why it is important for condominium associations of all sizes, but particularly for smaller associations, to periodically consider replacing their governing documents. The cost of CC&R and Bylaw replacement is modest, and the benefits can be substantial. The quality of the governing documents will directly affect the quality of life of the owners, as well as their ability to refinance and sell. Moreover, the best time for document replacement is not when there is a specific problem to solve or transaction in progress, but rather when things are going well and everyone is getting along. This removes any time pressure, and increases the likelihood that the process will go smoothly. SirkinLaw APC has been creating condominium documents, advising condominium owners, and mediating condominium association disputes, for more than twenty years. Andy Sirkin was co-author of 10 editions of The Condominium Bluebook, and his expertise in preparing condominium governing documents is recognized throughout California. SirkinLaw APC governing documents continue to be the ones other firms emulate, and Realtors, lenders and buyers strongly prefer. This leadership results from constant improvement and innovation that makes our documents easier to read and understand, as well as more efficient and less expensive to enforce. Contact us via our contact form.